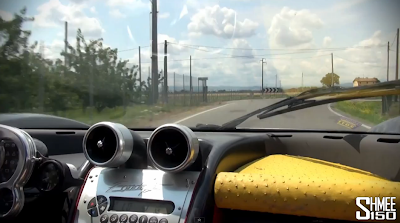 The Pagani Zonda Prototype 2 is the second Pagani ever produced, it's so old to such an extent to be called " Nonno " (grandpa) from the Pagani workers. In its long life it has been driven over 1 million (million!) kilometers and from the very first C12 6.0 it has been upgraded up to the latest, extreme road legal version of the Zonda, the 760. Enough with the talk, so how's it like to push 760hp on the road with none other than Pagani's chief test driver behind the wheel? Sounds like the perfect recipe to the happiness, that's why we all need to experience something like this at least once in a life-time, definitely.